Posted: September 11, 2017 6:00 a.m.
From the age of nine, Joan Halmo played the organ in church in her hometown of Kuroki, Saskatchewan. It implanted in her a love of music–including church music in all its variety–as well as a lifelong devotion to education, heritage, and musical and cultural activity. Her musical acumen developed as she attended St. Ursula’s Academy in Bruno, where she was deeply impressed by the beauty of church music across the ages. In the years since, Halmo has passed on her love of sacred music through teaching, lecturing, and publishing. Halmo is currently executive and artistic director of Gustin House, an historic residence in Saskatoon named after Dr. Lyell Gustin, who taught music for almost 70 years. Under Gustin’s mentorship, Halmo attained a Licentiate in Piano Performance from Trinity College of Music, London, England. Halmo was invited to join the Gustin/Trounce Heritage Committee that had been established after Gustin’s death to preserve his legacy and continue his advocacy for music and the fine arts. During 2004-05 Halmo led the Committee’s work in restoring Gustin’s former home, now a designated Provincial Heritage Property. She also spearheaded the stabilization of Trounce House, a small residence built in 1883, Saskatoon’s oldest building. Since 2005 Halmo and her colleagues have re-established Gustin traditions of musical programming, including a concert series featuring performers from national and international stages, and interdisciplinary programs held at Gustin House. Gregory Schulte, an organist and part of the seven-member Heritage Committee for 12 years, affirms that Halmo is the right person to lead the way in continuing the Gustin legacy. 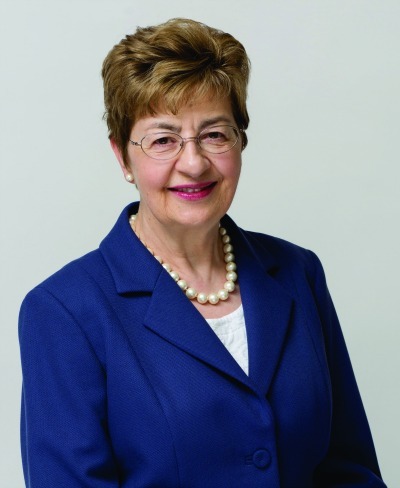 Halmo graduated from the University with her Bachelor’s degree in 1977, receiving both the University Medal and President’s Medal. She received numerous scholarships while earning a Master of Arts (1982) from St. John’s University, Collegeville, MN, and a Master of Liturgical Music (1978) and Doctorate in Musicology (1993) from The Catholic University of America, Washington, DC. While teaching at the University of Saskatchewan, she received grants from the Social Sciences and Humanities Research Council to study music manuscripts and also the Gustin legacy. Besides advancing her own education during these years, Halmo co-founded Allegro Montessori School, Saskatoon, in 1987. She received a City of Saskatoon volunteer award for heritage in 2012 and a Campion College alumni award in 2015. The University of Regina and the Alumni Association recognizes the achievements of our most accomplished graduates through the Alumni Crowning Achievement Awards (ACAA), one of the highest honours that can be bestowed on distinguished University of Regina alumni. Join us on October 5th at the Hotel Sask to celebrate five outstanding alumni. Learn more about the ACAA dinner here.